Yokohama Tire Corporation and the Los Angeles Angels, partners since 2011, have signed a new, multi-year agreement. 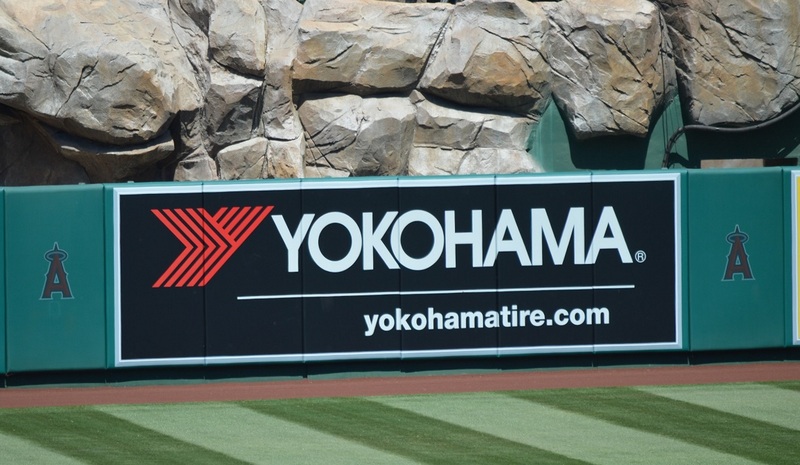 Yokohama Tire will continue to be a sponsor of the American League West team through the 2020 season. “With the recent signing of two-way phenom Shohei Ohtani from Japan to go along with two-time MVP Mike Trout and the other great players, the Angels continue to be one of the most exciting teams in baseball,” said Alan Holtschneider, Yokohama’s director of marketing. Holtschneider said Yokohama’s sponsorship includes its corporate logo in the highly visible position of left centerfield, were Trout routinely makes spectacular plays. Along with the Los Angeles Angels, Yokohama’s 2018 sports sponsorship roster includes English Premier League champions Chelsea FC, Nitro Circus Live US Tour, Nitro World Games and Spartan Race Series, as well as motorsports series such as the as the Porsche GTS Cup Challenge USA by Yokohama, the Ultra 94 Porsche GT3 Cup Challenge Canada by Yokohama and several other motorsports partners.